With the latest release of Oracle BPM (PS6) a new feature was added which will bring a smile to the face of many business users. 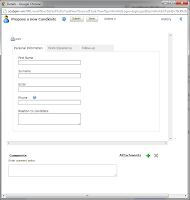 WebForms will allow basically anyone with a little IT background to create a matching user interface for simple business processes. If you combine this with BPM Composer you have the perfect tooling to create almost “ad-hoc” business processes with limited complexity. 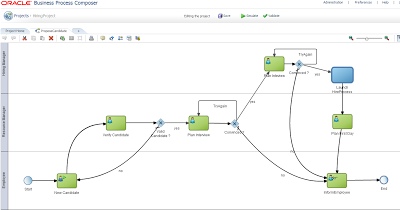 Of course this won’t replace the tasks and effort related to in-depth development of production ready SOA/BPM applications but it is ideally suited for the business analysts or business users needing a quick solution. Let’s say we are working for company in full expansion that is constantly looking for new talent to hire. In order to facilitate the follow-up and hiring process we quickly need a business process that can handle this task. As part of the HiringProject we can identify two processes. 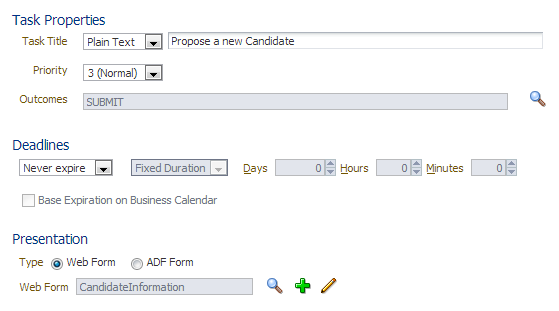 “HireCandidate” : Which can only be started by the hiring manager if the candidate is considered a good match. After a little bit of modeling we end up with a fairly simple and straight forward business process that can handle our requirements. Of course only half the work is done now. We still need some sort of user interface. 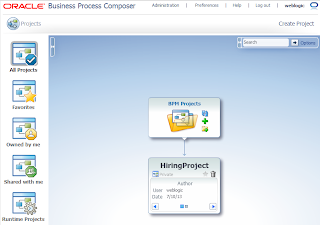 Instead of spending weeks developing a production ready and highly specific user interface we can use the new WebForms feature in Oracle BPM and start working with this process today!! 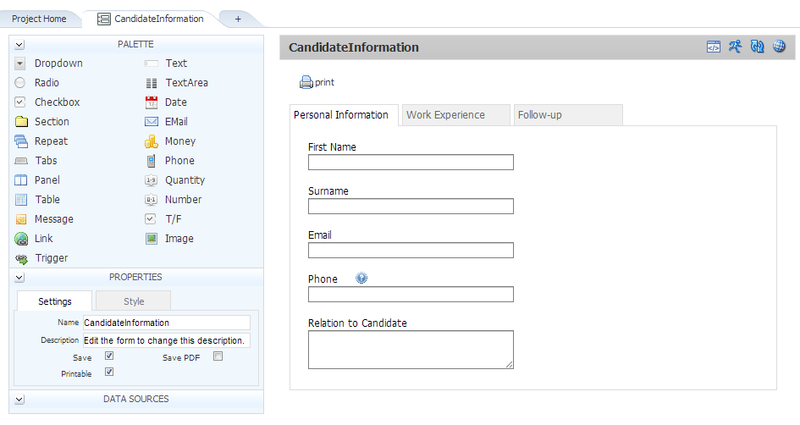 The requirements of our webform are very simple and can be implemented very quickly. By using the drag-and-drop it will automatically create the layout and corresponding data objects. 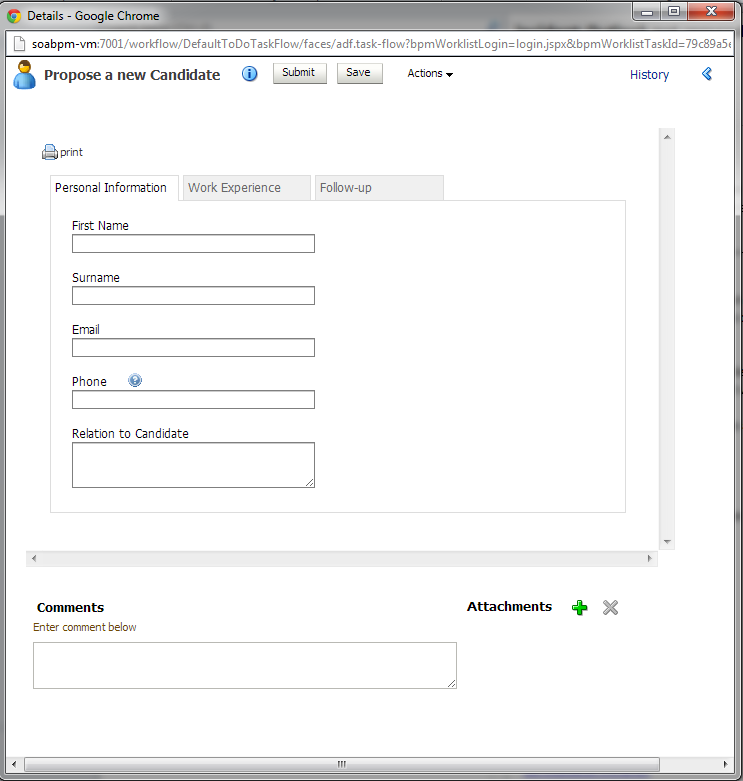 Now before we can start using our brand new process we just need to link our newly created CandidateInformation webform to the already created HumanTasks. Once this is done we can deploy our HiringProject and we can start using it to hire new talents for our expanding business. Once the process has been deployed we can start testing it for real-life cases. 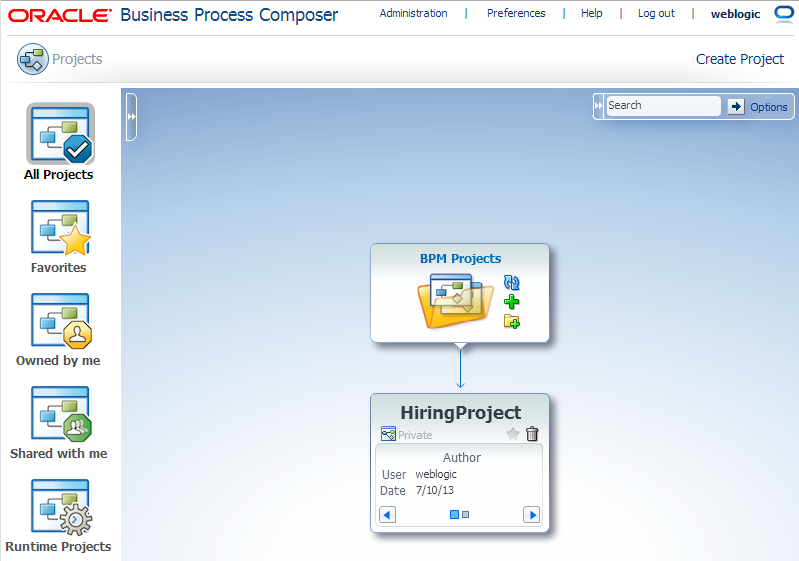 After logging onto the BPM workspace by using our employee user we can see the new business process ready to be started and it will show up on the applications tab. As expected once we click on this link we get our brand new user-interface ready to be entered with data. 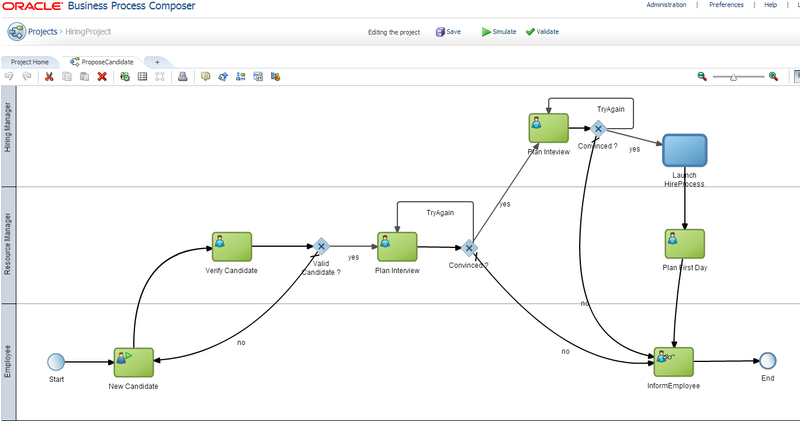 Our new business process is up and running and we can start streamlining our hiring campaign. 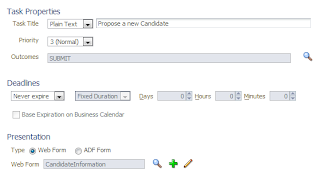 For quick-win business processes this approach with webforms definitely has its advantages. However when more complex interface or flows are required proper architectural analysis needs to be done before robust development can start.